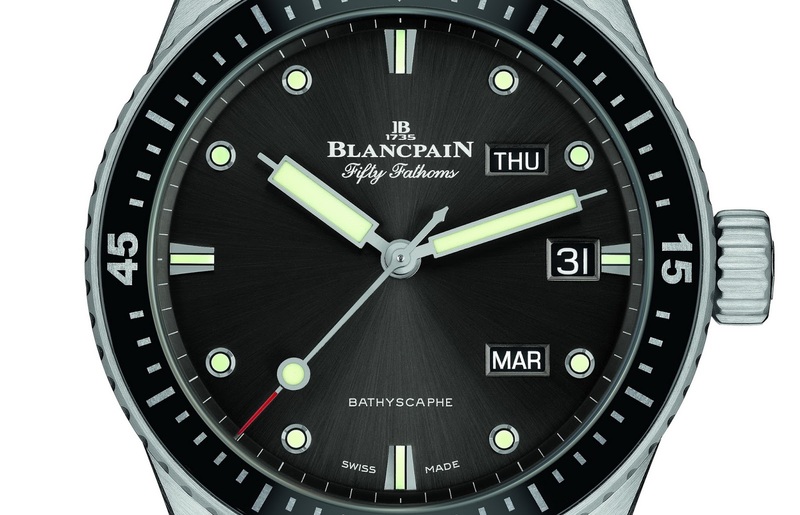 This is the new Fifty Fathoms Bathyscaphe Quantième Annuel which features a day of the week, date, and month shown in an indicator that fully accounts for all the irregularities in the length of months, except for the 28 days of Feb. – needing a single yearly adjustment at the end of that month. 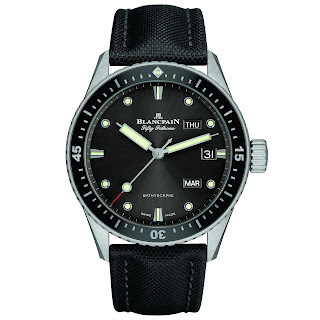 While I appreciate the level of complication required for such a movement, the dial with its 3 individual windows: day at 2, date at 3 and month at 4 o’clock goes beyond unusual – it’s damn odd looking on a diver imo. 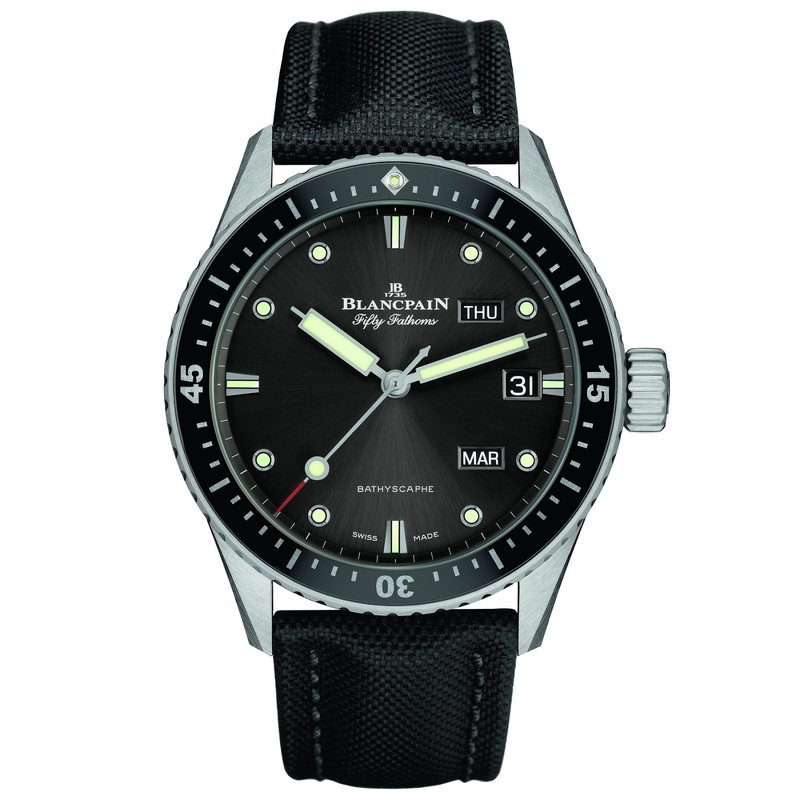 The Bathyscaphe has in recent years been the go to Fifty Fathoms becoming Blancpain’s flagship diver family – we have seen some really nice Bathyscaphe models released over the past few years but I don’t really get this one. 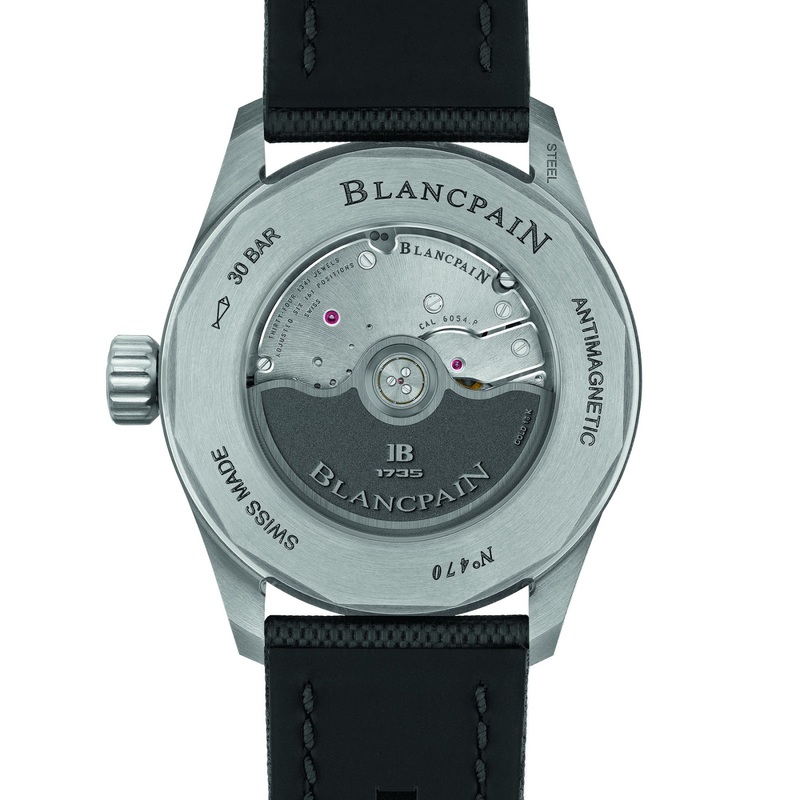 BTW, the Bathyscaphe first joined the FF family in 1956 as a non-military version with a size designed for daily wear. This trend continues today with Blancpain’s modern Bathyscaphe models offering a sturdy movement, and a diver’s bezel with a ceramic insert and its dive-time scale in Liquidmetal. 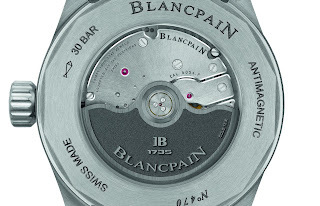 Powering the Bathyscaphe Quantième Annuel is a new caliber, the 6054.P, which is based on Blancpain’s in-house twin-barrel 1150 movement that has been modified with extended bridges creating a wider opening on the caliber. 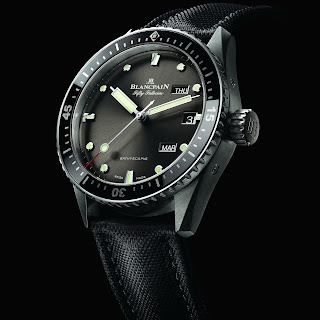 Its black ceramic diver’s bezel with its Liquidmetal markings, its meteor gray dial, and the satin-finished 43mm Stainless steel case add up to a subtle, classic yet high-end look that will appeal but I am not sure the day, date, month apertures bring anything other than quirkiness to the table.